Police investigate the scene of a homicide at a southwest Houston apartment complex on Oct. 10, 2018. HOUSTON - A man was found shot to death Wednesday in the doorway of his southwest Houston apartment. The shooting was reported about 6:05 p.m. at 6231 Westward Street, near Hillcroft Avenue. 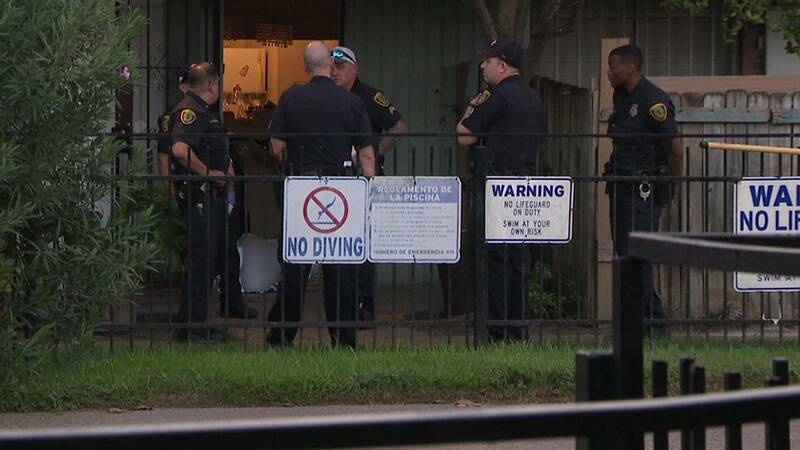 Houston police said officers found the body of 35-year-old Yunier Perez Cobian in the open doorway of his apartment. He had been shot several times, police said. Investigators said Cobian’s wife was in the apartment at the time of the shooting but said she did not witness it.